In 2015, DairyNZ was searching for a commercial farm to apply research proven at a farmlet scale. For Chris and brother-in-law Richard Webber, it was a great opportunity to investigate changes to their farming system to meet potentially conflicting goals. And so the P21 Focus Farm was created. Located in Tihoi, Bay of Plenty, Parkhill Farms is an equity partnership comprising Webber and Robinson family members. With help from DairyNZ researchers and modellers, and a local farmer advisory group, they identified nitrogen (N) leaching ‘hotspots’ and capitalised on their farm system efficiencies using key principles from P21. Match home-grown feed supply to demand. Focus strongly on grazing and pasture management to optimise pasture eaten and pasture quality. Use N fertiliser to fill deficits, not boost surpluses. The profit-related practices are all supported by knowledge and tools available to farmers now. It is how they can come to together with the N loss practices at the whole-farm scale that Parkhill Farms has been exploring. Chris says they weren’t keen to invest capital in feed and stand-off pads. “We like the idea of our cows being milked and heading out onto fresh, green pasture,” he says. Hence, they chose to focus on reducing total N inputs, a move which has seen them move from a system 4 to system 2 over the past two years. 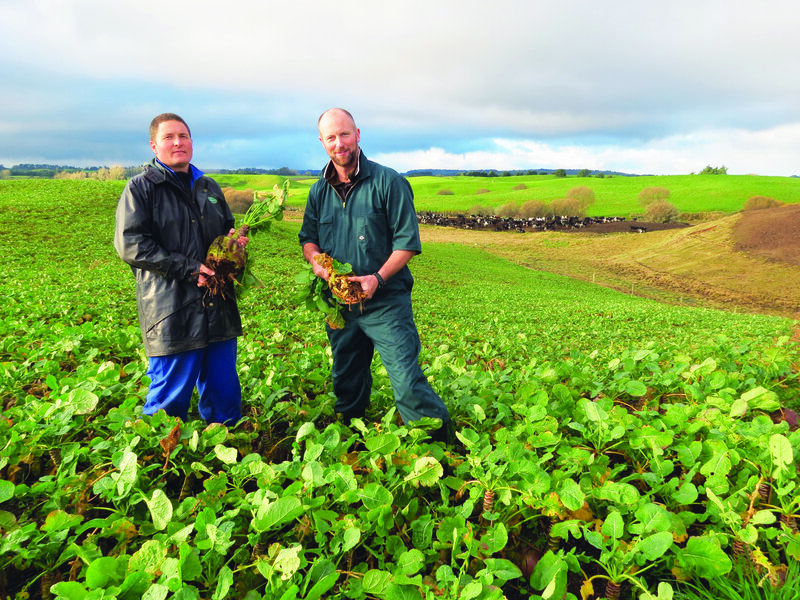 It’s involved some compromise but Chris and Richard are now more confident about managing nutrient loss and balancing that with their farm’s profitability. Chris says the team’s goals and aspirations were a good fit with the P21 research as they were already looking at ways to cut the farm’s nutrient losses. Perhaps Parkhill Farms’ biggest system change has been reducing the amount of crop grown. Reducing the amount of palm kernel expeller (PKE) brought in has also demanded a change in thinking and some compromise. “It’s easy to ring up and get another load of PKE to keep condition on your cows. With grass and silage you don’t get that same consistency of quality and we’ve definitely lost more condition off our cows than usual,” says Chris. So how does this new system stack up financially for Parkhill Farms? “We found it easy to achieve a 10 percent change in nutrient losses and maintain or increase our profit in a low payout year,” says Chris. “At 20 percent it’s also possible, but at 30 percent we start to sacrifice our profitability for the gain of the environment. Changing your farm system to meet environmental obligations? Talk to individuals you respect for their opinions on your options. Compare any options against your personal and business goals. Find out what the research says. Model your chosen options in Overseer and Farmax. Develop a several-years-ahead plan and review, review, review. Pastoral 21 Next Generation Dairy Systems was a collaborative five-year farm programme that aimed to provide proven, profitable, simple, adoption-ready systems that lifted production and reduced nutrient loss. Alongside the research, the project captured farmer experience through the use of P21 Focus Farms, like Parkhill Farms, and case studies. For more information visit dairynz.co.nz/p21.